Hot off the release of her new Sanrio x Kidrobot collaboration, Amanda Visell follows up with a cool series of customized Bad Badtz-Maru figures. Each of the 10 creations are hand painted and come with a Hello Kitty mask, except one decided an eye patch was more dignified. He is randomly assorted in the series. These playful penguins are now available for $350 each in the Switcheroo webstore. 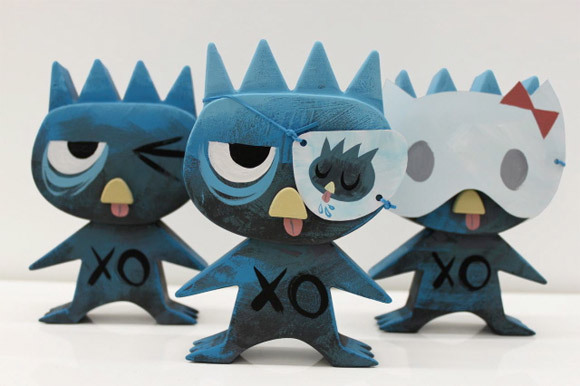 Grab an original version of Bad Badtz-Maru on Kidrobot.com.